I don't customize, but I am really looking forward to seeing some great stuff. Thanks Mr Byrne You pretty much rock! Also lets put tips here so others can join in the fun. As a kid I masterfully turned a Super Powers Green Lantern into one of the Guardsman (the green armor created by Tony Stark) with nothing more than tape, markers and a lot of free time. I wish I still had that figure. Thanks JB -- we'll use this thread liberally! Thanks JB, will do. If you don't mind, I'll be posting my statues for yours (and others) viewing pleasure. Take care. 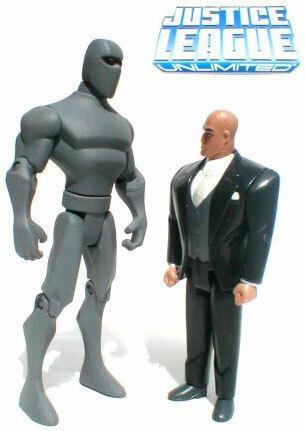 1) What type of paint should you use to customize your figure? 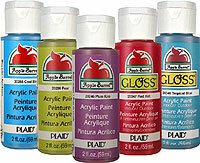 1) Acrylic craft paints, available at most Michael's stores or places like JoAnn Etc. or Hobby Lobby. Some folks use the more expensive Citadel model paints, but the craft paints work fine (much cheaper and you get more). Make sure you thin the paint with water first -- thin to the point of being runny, then apply multiple coats. 2) I'm usually carving or Dremeling off details if I'm doing a custom. I always use a primer -- Krylon Fusion works very well on the type of plastics used for action figures. I use gray satin or white satin Krylon Fusion as a primer depending on what I'm working on. Gray works well for figures with a lot of sculpted-on details; I primarily use gray firm Super Sculpy, and gray primer makes for a good base, and a gray primer on the baked Sculpy helps reveal details that need more sanding or more rework. White satin primer helps colors to "pop" better, though, especially if you're looking for a bright, colorful finish. 3) After painting, I always use a clear satin finish to seal the figure. 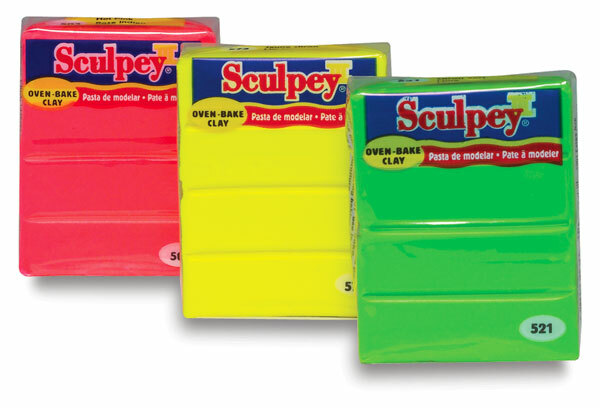 This helps reduce the chance of paint chips, and it gives the figure a consistent finish. 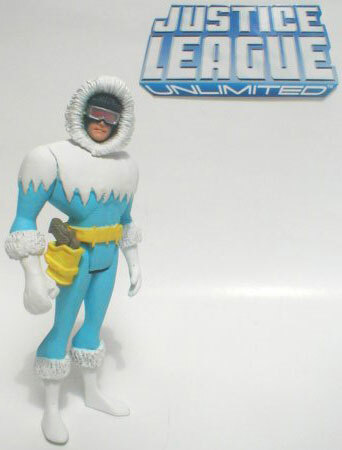 Also, the clear satin finish helps prevent dust from adhering to the figure -- a clear gloss finish will have a tendency to get "fuzzy" over time as dust seems to have a greater tendency to stick to the surface. In response to the question you asked in the Statues, Action Figures, and Other Toys thread about using a marker to black-in the mask on the Batman figure you have, I would recommend using a Sharpie permanent marker. Any non-Sharpie (or non-permanent) marker WOULD fade (or even worse, wipe off or smear! ), but a Sharpie works very well for these type of "fixes" (this kind of thing is more of a "fix" or a "tweak," rather than a full-blown customization which might require priming, repainting, etc.). Buy yourself good brushes, and do not use hot water to clean them. 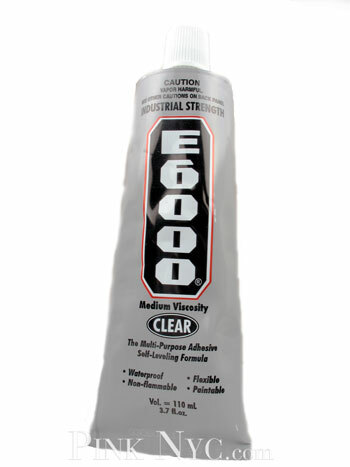 Glue I use E6000 you get that at hobby stores. 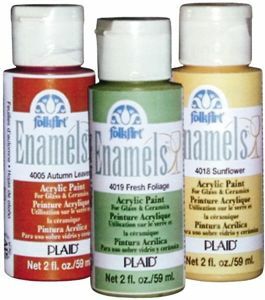 Thanks Jodi -- Folk Art and Apple Barrel are the two brands of paint I use, too! Additional helpful tip: My wife always puts a dab of paint from the bottle on the lid -- that way you always have a handy reference to see exactly what the color looks like when the paint is dry. VERY helpful when trying to choose from several different shades of red or blue, for example. 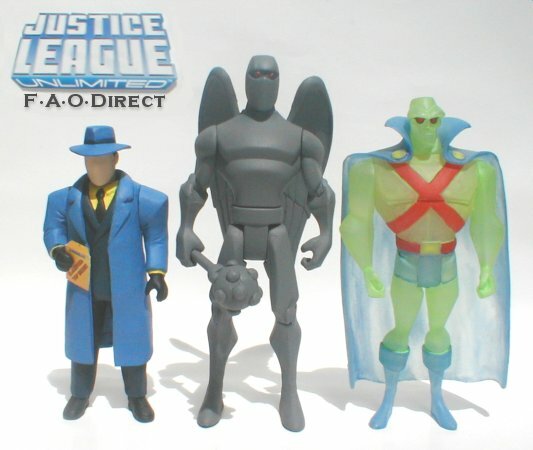 The Amazo figure started out as a Bruce Wayne figure from The Batman toy line -- slightly larger than the JLU scale, but it works great as a "big" figure like Amazo. Here's a closer look at the job I did. So shiny. 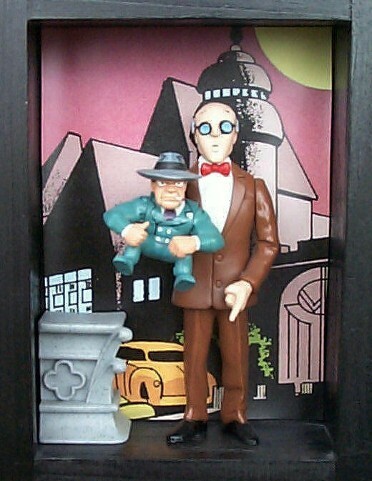 Here is one of the first Batman Gotham Adventures I did. I found this paint hard to work with, it took forever to dry and always seemed to be sticky, do you have the same problem? I just saw the Black Canary Barbie and I thought I would post this, it's a custom I did because a person wanted a Barbie Lita from the pro wrestling league former WWF. 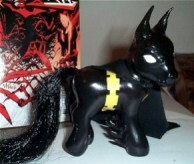 Justice League Ponies have already been done, however.